BurdiGala 2017 has partnered with the 501 (c)3 organization, Wine on Wheels of Wheeling Forward to draw awareness and build support for this cause. 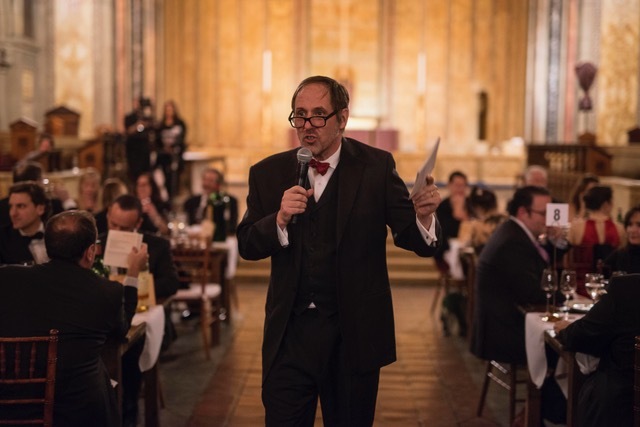 The Wheeling Forward Charitable organization was founded by NYC Sommelier Yannick Benjamin and his co-founder, Alex Elgudin in 2011. The goal for these two individuals in creating Wheeling Forward is to help recently disabled people that lack a support system and resources to obtain the services they need. 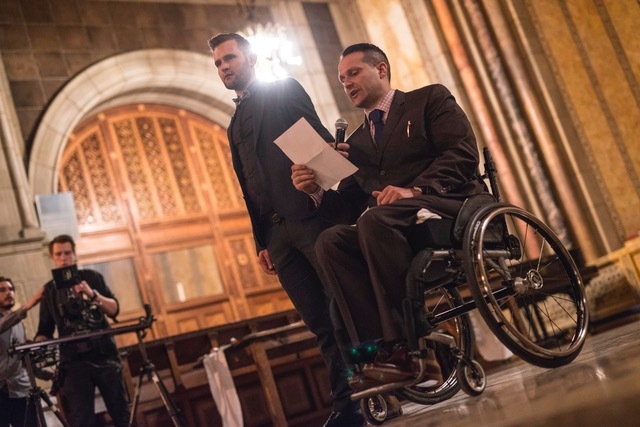 Through their own personal experiences, Yannick and Alex understand that disability impacts every person’s life differently and through their foundation, they are working to address each person’s diverse needs. Lot 1: An intimate Journey to the Gems of Bordeaux and artisanal pizza with Mary Gorman MW and Chef Elizabeth Falkner of the Food Network (8 people in your own home). An in-depth Private Bordeaux Wine Tasting with Master of Wine Mary Gorman-McAdams and celebrity Chef Elizabeth Falkner who will be your dynamic duo to create an ambiance of fun proving that Bordeaux and Pizza can be a perfect match! This is an intimate tasting and seminar for a group of up to 8 people in your own home. Wines to be poured and including some surprises from the Master herself! La Rive Droite Quintet is a rare offering of Saint Emilion’s most revered and sought after estates all bottled in double magnum. Each Chateau displaying the uniqueness and complexities that we have all come to admire from this special terroir. Four of the most highly regarded Châteaux in the Left Bank have generously offered this unrivaled lot directly from their cellars. 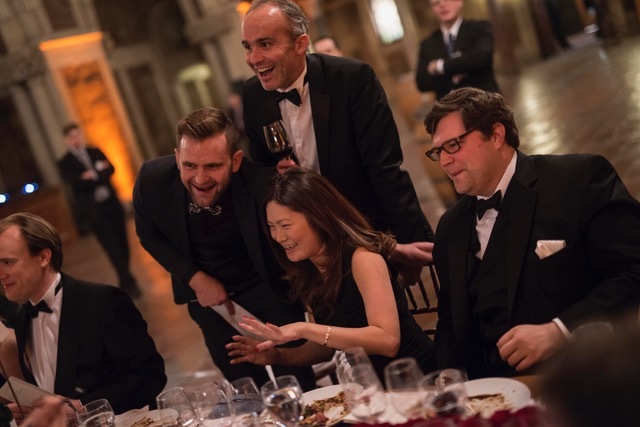 The evening will feature the Chef’s Shared Menu at Marc Forgione Restaurant where a collection of their signature dishes are served and wines are paired and overseen by acclaimed Sommelier Matthew Conway. Chuck Close is responsible for reviving and modernizing the painted portrait in a time when abstraction had superseded representational art in popularity. American artist and photographer who became known for his large-scale photorealism portraits. He earned the National Medal of Arts in 2000. This is a rare opportunity to add to your collection one of America’s greatest artist and enjoy it with a great bottle of Bordeaux! 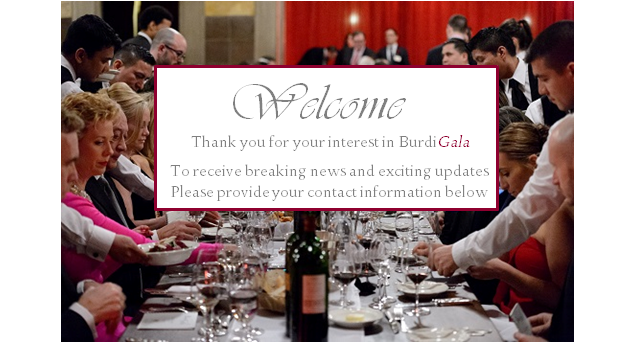 Air France and top Chateaux of Bordeaux have come together to make this “The Ultimate Bordeaux Experience” for BurdiGala 2017. Your trip will begin in comfort & style with 4 Business Class Air France tickets flying you from NYC to Bordeaux. The following Chateaux will welcome you and 3 guests for a private, guided tour and lunch/dinner. Disclaimer for all Lots: All must be used within one date of the year purchased.